I have always loved shopping at consignment, thrift & vintage stores because you can find such unique pieces that no one else will have (not to mention the money you save!). Which is why I was so excited to discover thredUP recently. 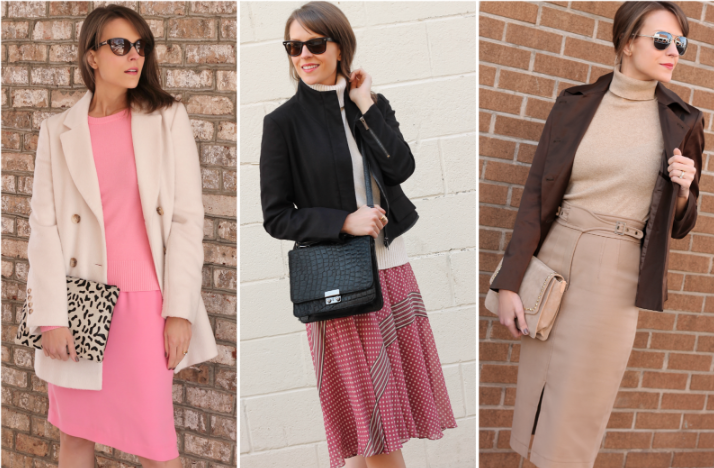 thredUP gave me a style challenge, tasking me with putting together outfits using pieces from their site and I could not believe how many amazing designers they had (BCBG, Paige Denim, Equipment & Vince, to name a few) and everything in pristine condition…some even new with tags! Their inventory is quite extensive so it took some time browsing to find the items I was looking for. I decided to create 3 separate outfits, using shoes & accessories from my closet to finish off the looks. I still cannot believe that I was able to buy these 8 pieces for under $200! Not only does thredUP have an amazing selection & incredibly affordable prices, but their shipping was so speedy & the packaging made it feel like I’d purchased from a luxe boutique. Everything was in impeccable condition when it arrived and I couldn’t have been happier with the items I purchased. Take a look at the outfits I created and let me know in the comments below which look is your favorite.